“From two of the co-founders of EATGOOD Records comes their long awaited debut EP “It’s About Time”. Sonnyjim & Kosyne have been sharing stages and trading rhymes together from way before either of them had made a dent on the hiphop scene. It’s taken until now for the duo to put out a formal project for no other reason than time itself (as the title suggests). Since his introduction to the scene Sonny has risen up the ranks as one of the UK’s hardest working wordsmiths releasing a barrage of premium material year in year out. Kosyne (despite his roots as a solo artist) had spent the last few years spearheading the world renouned Louis Den movement and co-producing the beatmaker driven DVD series “Behind Closed Doors”. 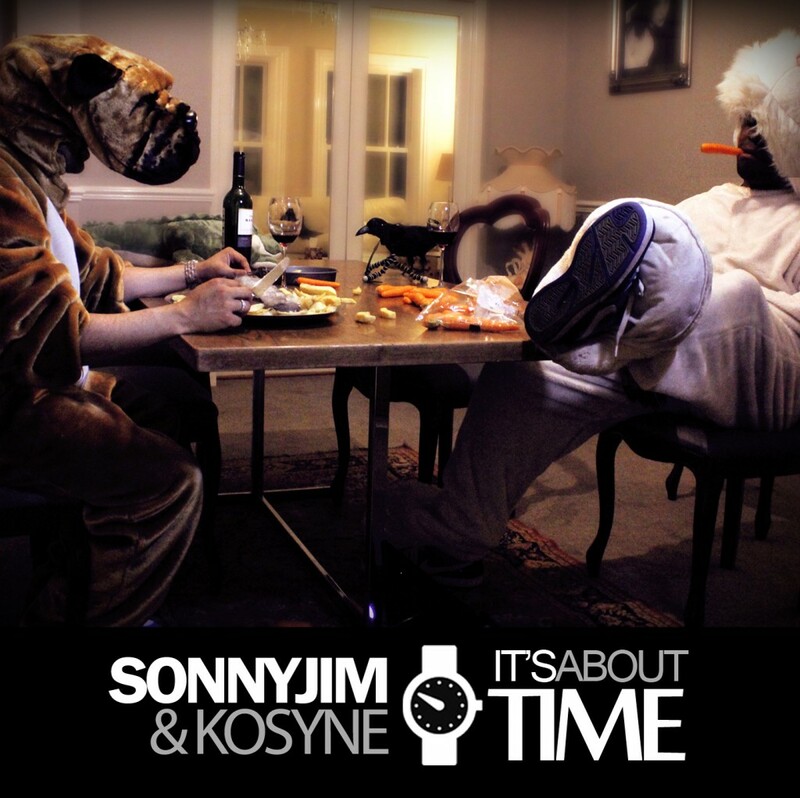 Sonnyjim and Kosyne formally hit the studio last year to start work on their long awaited EP; having been an idea since the pair first started working together they got in the lab and the project quickly took shape. The aim was to put together a slab of emcee centered tracks allowing them to get busy with flows, cadences and stylings while still belting out well constructed material. Assisting on a production tip are Fel Sweetenberg (NJ, USA) on two cuts and UK producers Apatight, Dag Nabit, Kelakovski and Jaisu. Guests include the infamous Foreign Beggars; fellow label mate Redbeard and vocalists Metamore and Dajuan. 6 tracks no filler, ill rhymes start to finish and FOR FREE as well!